Works with all 10, 100 and 1OOOMB networks. Test, verify and repair 10, 100 and 1000 Base-T Networks! The latest model supports all network speeds; displays full and half duplex; and detects PoE (Power over Ethernet). Go inline between two LAN devices and see if the negotiated speed and duplex is what you expect! Features a built-In Tone Generator/Probe and cable pairs tester. The TVR10/100/1000 answers the most common questions that occur during the repair and install of 10, 100, 1000 Base-T LANs. Is my hub/switch or PC ON and transmitting? 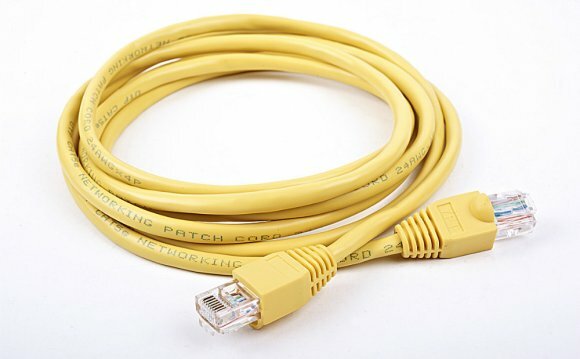 Do I require a straight thru or crossover patch cable? Is my LAN speed 10, 100 or 1000MB/s and is it half or full duplex? Is the hub/switch and PC link negotiating a slower speed and duplex than expected? Is PoE available? Is it endspan or midspan? Is a hub or PC connected to my cable? Does my hub or PC require 2 or 4 pair cables? What pairs are terminated in my cable? Where is my cable in the wiring closet? What hub port is my PC using? Is my cabling straight thru or crossover? Does my cable have inverted pair or other faults? The TVR10/100/1000 is comprised of two units: The “Main unit” and the “Remote Probe.” The Main unit performs the bulk of the tests such as determining the LAN device type (is it a hub/switch or PC? ), the LAN speed and duplex (10, 100, 1000 MB/s, half or full duplex) and whether PoE (Power over Ethernet) is present without the need of the Remote Probe. The Remote Probe adds the ability to trace cable locations (by audibly tracing tones cables with all four pairs to insure compatibility with all three types of Base-T LANs. Broad capabilities: TVR10/100/1000 helps you locate faulty hubs, PCs or cable connections that are stopping or limiting the performance of your 10, 100 and 1000 Base-T LAN. You can even go inline between two LAN devices and determine the final negotiated speed and duplex of the link. Designed for both the LAN installer and repair person, it is useful documenting legacy LANs, installing and repairing LANs or adding equipment to existing LANs. Designed specifically for 10, 100 and 1000 Base-T LANs: The TVR10/100/1000 has been designed to test LAN devices and cabling to the 10, 100 and 1000 Base-T standard. This includes wiring paired to EIA(TIA)568B (also called AT&T258A or simply “AT&T”); and EIA(TIA)568A. EIA(TIA)568B is the most popular scheme for 10, 100 and 1000 Base-T cabling. EIA(TIA)568A is the most popular scheme for ISDN cabling. USOC pairing (typically used for telephones) is not compatible with the Base-T standard and is therefore not tested by the TVR10/100/1000. Hub/PC verifier that indicates the equipment Device Type (is it a hub/switch or PC?). LAN speedometer that verifies the speed and duplex of the link (10, 100 or 1000MB/s, full or half duplex). Straight thru/crossover cable jacks indicates the patch cable required. Inline network activity monitor indicates the negotiated speed and duplex between two LAN devices. A quick way to spot network bottlenecks!Tone probe and tone generator for tracing cable locations (and the port used). Cable pairs tester that verifies what cable pairs are wired and identifies straight thru and crossover configurations. Cable termination tester: Tests for the existence of a LAN device connected at the end of the cable (determines number of cable pairs required by the device). PoE Detector indicates the presence of Power over Ethernet and the whether the power is endspan or midspan (PoE on pairs 1, 2 3, 6 is termed “endspan” PoE … PoE on pairs 4, 5 7, 8 is “midspan” PoE). It is not only the individual functions of the TVR10/100/1000 that makes it so useful but the creative combination of these features that yield an efficient, time-saving tester. The TVR10/100/1000 plugs into active hubs, switches and/or PCs to verify 10, 100 or 1000 Base-T operation. Only the Main Unit is required for these tests. Verifies if PC is ON, if it appears as a PC and speed capabilities and duplex. Verifies if hub/switch is ON, if it appears as a hub/switch and speed capabilities and duplex. Goes inline between two devices to verify the negotiated speed and duplex of the link. This powerful feature is found on testers that cost $1500 or more! Verifies hub/switch to hub/switch data transmission. Checks if straight thru or crossover patch cable is required. Finds speed bottlenecks on 10, 100 and 1000 Base-T LANs. Inline monitors LAN link to determine negotiated speed (between two devices). Detects PoE (Power over Ethernet) and indicates whether it is endspan or midspan. The following tests are performed by the TVR10/100/1000 Main Unit and Remote Unit (except where indicated). Tests installed cables (pairs wired and type). Tests patch cables (pairs wired and type). Remote Probe helps locate and trace inactive cables. Remote Probe traces active cables connected to hubs/switches and PC without interfering with LAN performance.